Is this a new Range Rover Evoque derivative we don’t yet know about? 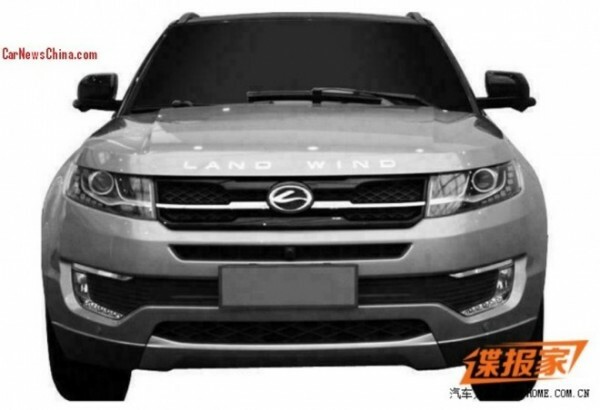 According to the Car News China website, Chinese company Jiangling Motor Holding Co., Limited (JMH) has filed a patent for this new Landwind-badged SUV, which hasn’t just been influenced by the Range Rover Evoque, but appears to be a blatant copy of it. Landwind, which isn’t a newcomer to this market sector, is best known in Europe for having sold a facimile of the Vauxhall Frontera. That car, which was sold in Germany, performed disastrously in EuroNCAP tests and was pulled from the market as a conseqence. The new car, to be called the E32, is expected to go on sale in China towards the end of 2014. The patent drawings, revealed by CarNewsChina, are certainly striking and there is absolutely no mistaking what car Jiangling is hoping to emulate with the new E32. However, for budget conscious Chinese motorists, the E32 will have one very important quality in its favour – it’s expected to be priced at around £11,500 locally. According to the website, the new car will be powered by a 2.0-litre turbocharged four-cylinder petrol engine developing around 187bhp, mated to a six-speed manual or an eight-speed automatic. Jaguar Land Rover’s reaction to JMH’s patent application will, no doubt, be awaited with interest. However, back in 2008, BMW pursued a case against another Chinese carmaker, Shuanghuan Auto, and alleged that the latter’s SCEO SUV was too similar to the X5 but was unsuccessful. Oh dear… Another blatant rip off! I know BMW lost their case, but the Shaunghuan was a mixture of X5 and Toyota Land Cruiser. 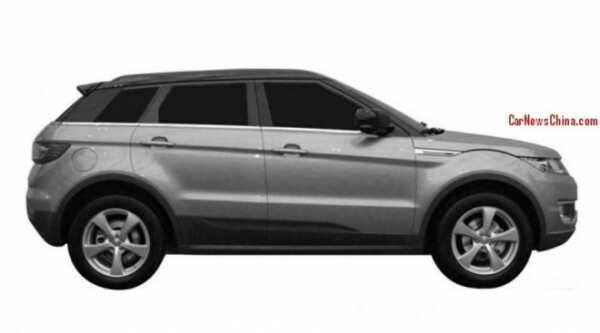 This is not: it is a clear pirate copy of an Evoque, which I assume JLR will have protected by way of patent itself earlier. One hopes that the patent office itself rejects the filing before it even gets to a court stage. Its called generic – you could buy pretty accurate knock offs of the Samsung GS5 phone for £150 before the original came out in the UK and the knockoffs are usually better (their cameras last more than 3 weeks for a start). The only difference, a slightly different processor running generally the same ARM cores, and a distinct lack of 400% markup. I’ve a prediction on this.. JLR will whine like a Clio wheelbearing to the government and associated agencies and threaten court action. 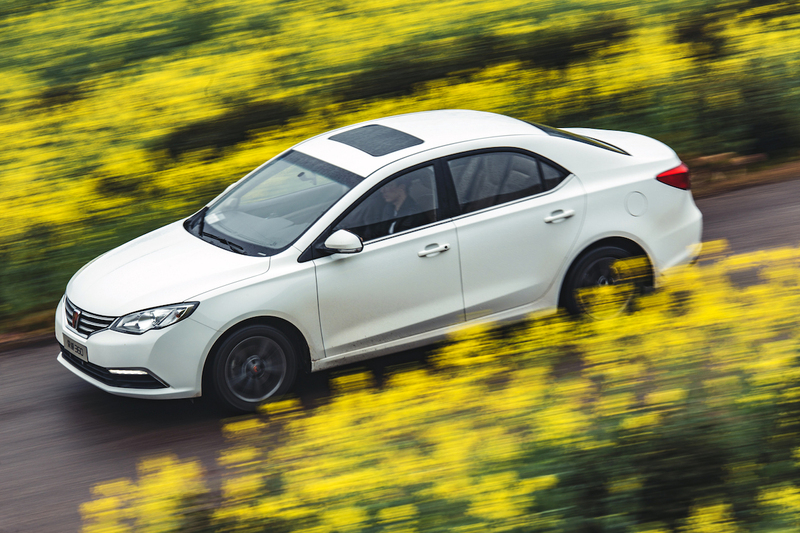 Government & associated agencies will ‘accidently’ mention this to the Chinese – and the legal complaint will disappear quicker than a knock-off K series head gasket. We cant afford to offend the Chinese gentleman (think a Cowley from the ‘Proffesionals” type) because we like having drinking water do we not” (The chinese owning quite a few local water companies hereabout, dontchaknow). Back door Wind more like. Have they ever thought of coming up with their own ideas and having some self pride. You’d look so Utterly crass driving one. For Chinese Del Boys only I think. Such a shame they have to degrade themselves. Who cares? You can pay beyond £44k for one of these while it residuals gradually run down outside a tan shop while some brass of a wife has her clout clipped. What can JLR or anyone else possibly do to stop this? I had a laugh about this at first; I mean, you’ve got to admire their sheer brass neck – even if said neck is probably ‘brass-effect’ and is made of some substandard material with a toxic coating. Good luck to JLR if they pursue the matter with the Chinese patent authorities – they’ll need it, for this is one of the perils for any foreign company doing business in China. The interior is an even a more blatant copy. Silly thing is China wants to be taken seriously it has to stop these blatant copies. well I would buy one and chuck an evoke grille on it , some range rover stickers and Bobs ya uncle, even jerry wouldnt know the difference !!! 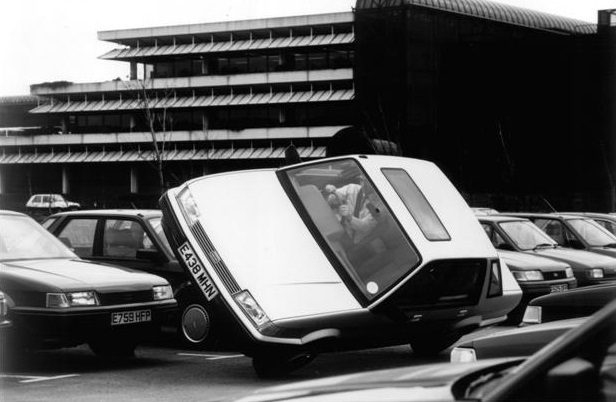 Would be interesting to see this in an NCAP crash test. I’m thinking it’d have all the integrity of a pack of cards. Would you fly in a Chinese copy of a Boeing 777 ? So its a rip off, its not made in the back of a laundry is it? I don’t know its crash worthiness anymore than the next man. What next? its painted in red lead? Its a non story like the A3 sport back blag based on the Maestro. Its predictable, the thread is already going down the veiled jingoism path. Who doesn’t know a knock off Nigel with pirate DVD’s? Why spend £60 quid on the latest release at the cinema with all the trimmings when we can watch the DVD and have a pizza out the freezer? The car possibly is a dog, are its origins important? You can get counterfeit anything here, and everyone buys snide on thiefbay, the place is awash with the stuff. There are some deeply foolish posts on here ( nos 3 and 6 being foremost ) . Should I be surprised ? I take exception to your remarks. While I assume you buy pirated DVDs and purchase fake goods on eBay and think nothing of it, please do not label “everyone” (as you have in your post) as doing so. I for one do not purchase pirated DVDs and do not, knowingly, purchase anything stolen, whether on eBay or elsewhere. The Chinese are well known for for their lax approach to copyright infringement. So much so that it was proven that a Cherry QQ and Daewoo Matiz’s doors were interchangable. There was also a Panda clone at one point. Isn’t this how Japanese manufacturers got off the ground though? If not direct knockoffs, then at least similar concepts to European cars? Nissan started off building cars very similar to Austin Sevens, the Subaru 360 was like a shrunken Beetle, the Suzuki Suzulight 360 was almost a Mini copy, the Datsun 240Z from a distance hints at the E-type, the Mazda MX-5 is a modern take on the Lotus Elan and even the 1st gen Lexus LS owes a lot to trying to beat the S class at it’s game. The Chinese can do better than this either by harnessing local talent or buying in a design. The speed that the Chinese market is developing the companies that just make clones are going to be left behind by both licensed manufacturers and good local design. A tip, when you have spent 20 years in the IT business and a fair amount of that time involved in the smartphone side of things you can tell me I dont know what I am talking about. The SGS5 has been eating its camera with impressive regularity – the knockoffs are generally more reliable and better built than Samsung kit – I wouldnt have a Samsung phone if you handed it me free. Especially not a £200 dual core when I can get, and own the equivalent, for the princely sum of £60 brand new, unlocked. 1. Chinese try to buy a company directly in the UK – like a water company or electric company. Funny but it sounds awfully familiar dont you think? @16 [Will M – April 29, 2014] Those doors were interchangable because Cherry bought (buys) them directly from GM, same with some Panda parts… And if you buy original spare parts, well… A lot of chinese manufacturers work like that. And not just cars. @15, Aw bless. And you polish your halo as well. @21 Antigoon – no, you are COMPLETELY wrong on this, GM never sold parts to Chery, instead Chery took moulds off a Matiz to produce its own car and realted parts. Why on earth would it need to buy expensive parts off GM? This story was well known at the time (2003-2005) and is summed up in this extract (sourced, with references) from the Wikipedia Chery entry: “In June 2003 American company General Motors sued Chery accusing it of copying the first generation Daewoo Matiz (developed by a GM subsidiary, GM Daewoo) in its design for the Chery QQ. General Motors also claimed a disguised Matiz was used in a crash test in place of the Chery car.GM executives claimed design duplication with many parts interchangeable between the QQ and the Matiz, and GM China Group stated the two vehicles, “shared remarkably identical body structure, exterior design, interior design and key components.” After mediation attempts failed, then-GM Daewoo (now known as GM Korea) brought a case against Chery in a Shanghai court, but by 2005 jurisdiction had been moved to the Beijing No.1 Intermediate People’s Court. Around that time Chinese state officials, including a vice-minister of commerce and a vice-director of the State Intellectual Property Office, publicly supported Chery. The Chinese have claimed that GM didn’t properly patent their technology. In late 2005 the lawsuit was settled”. This nasty piece of work deserves to have a fire axe and sledgehammer taken to it by some large tattooed gentlemen wiv ahkcents like the late Bob Hoskins. There must be a special definition of patent in China. ” A patent is a set of exclusive rights granted by a sovereign state to an inventor or assignee for a limited period of time in exchange for detailed public disclosure of an invention. An invention is a solution to a specific technological problem and is a product or a process.” Thank you Wikipedia. 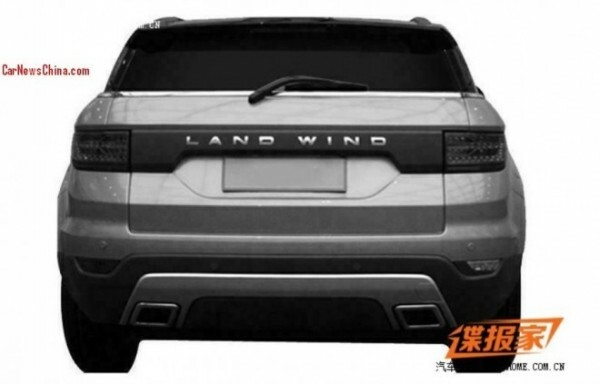 How can the Landwind be an invention? There is nothing unique about it. It is a car. Its design as the Evoque has been around for several years and is documented. If the Chinese accept this as a patentable object in flagrant violation of WTO rules to which they are signatory, then absolutely nothing is safe. Totally ridiculous. There can be no excuses. They should copy the doors from the MG6, extend the front and rear, and call it Land Crab. There is some rubbish in these posts, and I know for a fact that the IP for ALL JLR products are protected, and with JLR now having a rather large joint venture with a brand new brand coming on stream within 5 years, I suspect that this wont go very far. If you google that model, the pics are completely different. I think there is a world of difference between a blatent copy of something with the complexity and design and development costs of a car and a knock off DVD or smart phone. @15 ignore the g*bsh**e, I wouldn’t buy knock off stuff either – Because its always bloody rubbish! You wouldn’t (can’t) patent a car design. You can patent various inventive aspects of the design, but not its appearance. Design Registration is for that, but I don’t know how well that is enforced in China. Doesn’t matter anyway really. People want the real thing, not a knockoff. @32, Who you calling a gobshite clown? When China hold vast percentages of foreign nations debt and are awash with cash themselves do you really think they give a toss about any meek and feeble mutterings from any automaker they choose to copy? If JLR want to moan (have they as yet?) I am sure China will remind them to be good little boys and shut their mouths if they don’t like it and go build their JV car in India with not a neutron of the infrastructure that China has at its disposal. In fact I am absolutely sure that after a few pathetic bleats from JLR the matter will be forgotten and they will swallow a few shameless knock offs for the Chinese domestic market. The question is, how much would it cost JLR to file legal proceedings against Landwind? And factoring in how the Chinese government treat these copyright claims (“Stop talking rubbish, the BYD 7 looks nothing like the BMW 7 Series, now go away.” etc etc) it will probably be a pointless legal wild goose chase anyway. @37, You have hardly elucidated an opinion on the subject-as worthless as this subject is, nobody at all will take issue with the Chinese on this matter. Funny how Apple Inc. was happy to drag Samsung through the courts over copyright issues but not the Chinese whom funnily enough manufacture almost everything Apple invents and rips off as well. A lot of folk seem to be getting their knickers in a twist about this, but what are we really getting worked up about? It will likely only be sold in the Chinese market, to those who haven’t got the money to buy a real Range Rover. The build quality again is of no consequence to us, as it will never be seen on our roads. We in the UK are therefore perfectly safe from the carnage it would no doubt wreak as it fell to bits on our roads. It will be sufficiently meet the, ahem, ‘quality controls’ required of the home market, so is unlikely to be a disappointment to its target demographic. It is unlikely to dent JLR’s income in China, as those that can afford a genuine JLR car will buy one. Blog : Will MG’s slow boat to Europe hit Hinkley Point or the Brexit rock?